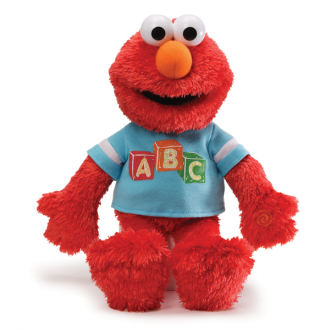 Learn ABC with Elmo! 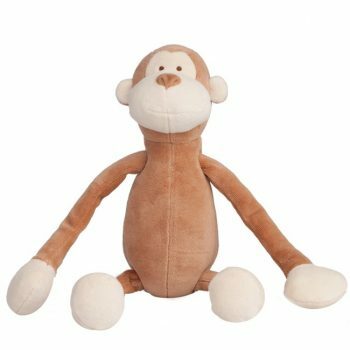 Wearing an ABC T-shirt he sings the ABC song in his adorable voice when you press his hand. 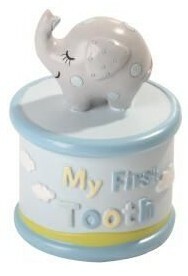 Beautiful Money box to start saving for your precious baby. 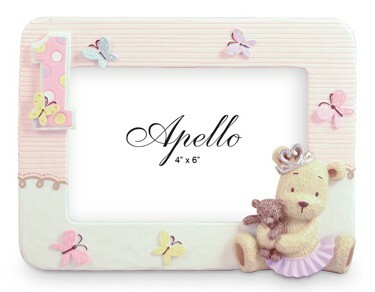 Holds a 6x4 photo, this timeless frame will add cuteness and elegance to any corner. 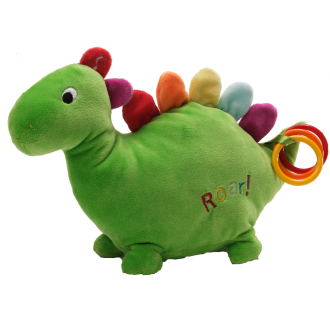 Colour fun counting dinosaur, animated plush. 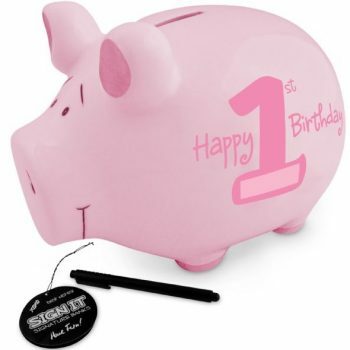 Counts along with you. 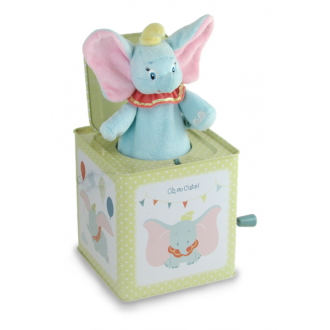 Delight your little ones with Dumbo Jack in the Box featuring Disney characters. 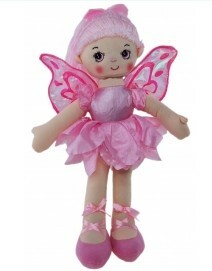 Wind up the lever to hear an enchanting tune, then POP! 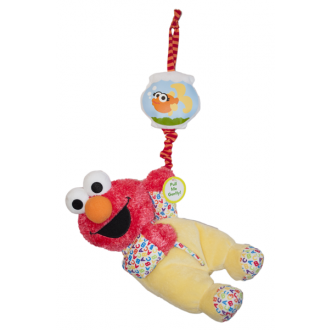 Pull down Elmo and he plays Twinkle Twinkle Little Star. 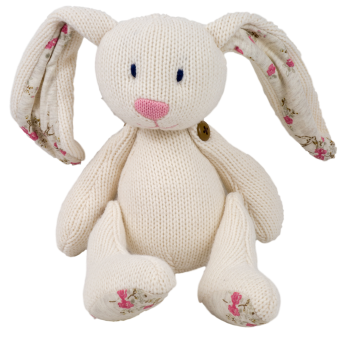 Features a tie to attach to cot, pram or car seat. 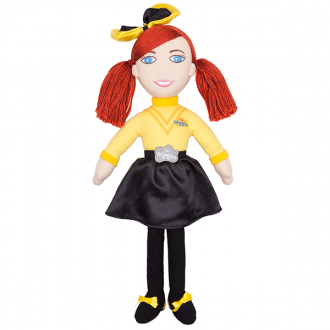 This 50cm cuddly Emma rag doll is sure to become a beloved companion for fans of The Wiggles! 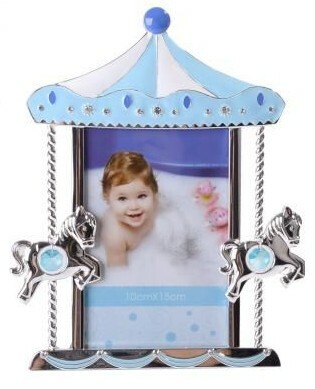 Display your cherished memories of your gorgeous baby at age 1 in this beautiful photo frame which holds a 6x4 photo. 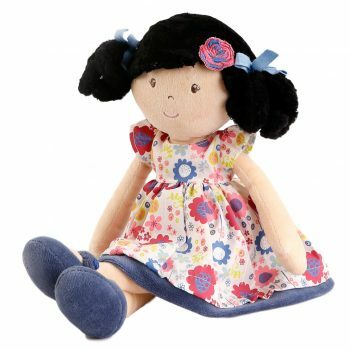 This traditional ragdoll has a colourful floral dress, blue fabric shoes and lovely black hair. 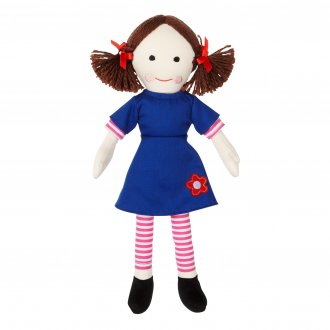 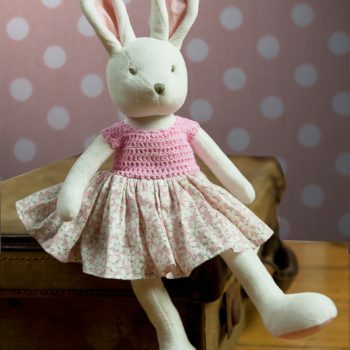 Sporting pigtails and wearing a blue dress and striped leggings, 32cm Jemima is the cutest she has ever been! 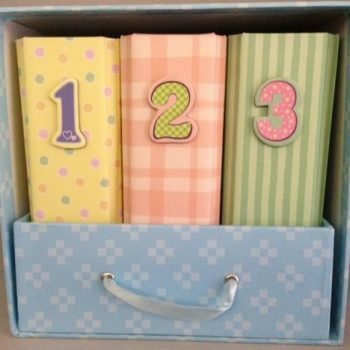 Album set with labeled 1-2-3 to display all those special moments. 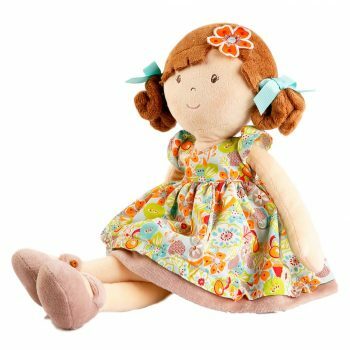 Press hand to hear tunes from the TV show as the cheeks softly glow in different colours. 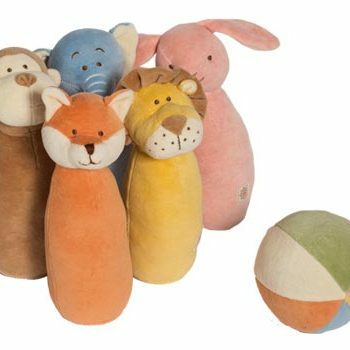 Peek a boo! 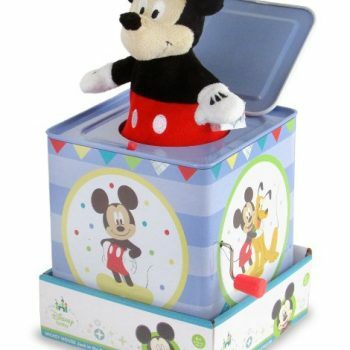 here comes Mickey Mouse! 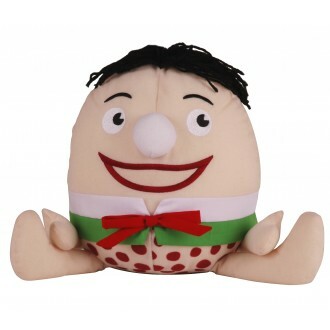 3 buttons play theme tunes. 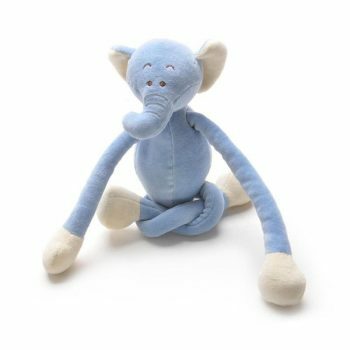 Pull along to hear the Ninky Nonk music. 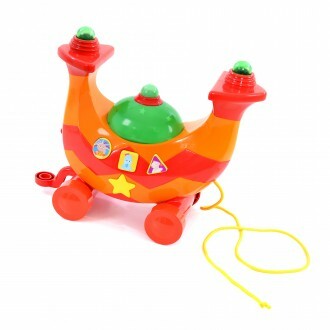 Press the star to play calming bedtime music. 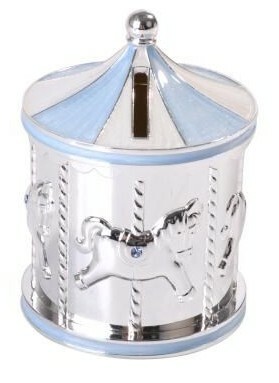 My 1st Year Aluminum Frame in baby blue. 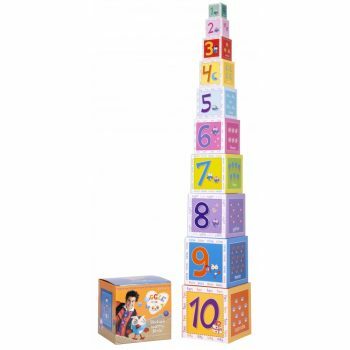 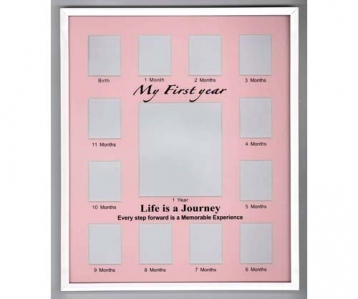 display your cherished moments of your babies first year. 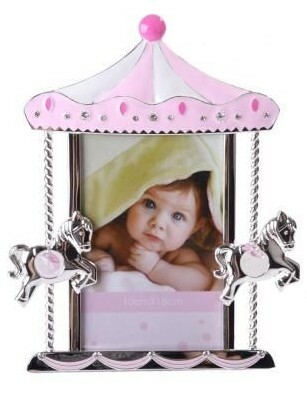 My 1st Year Aluminum Frame in baby pink. 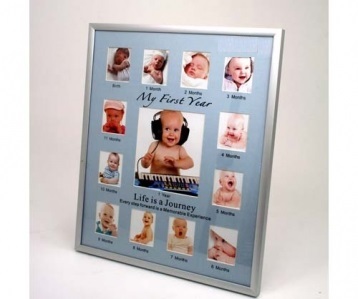 display your cherished moments of your babies first year. 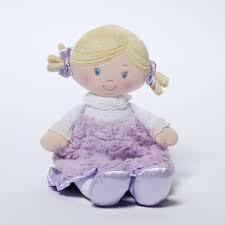 Baby-safe doll with nothing to pull off. 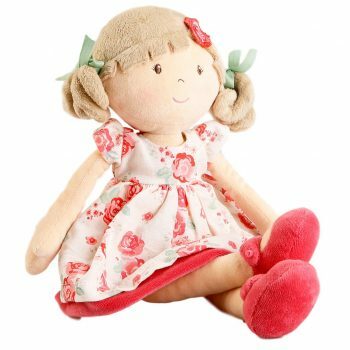 embroidered face, a pink hat with flowers, and a pink jumper with 'My First Dolly' in embroidery. 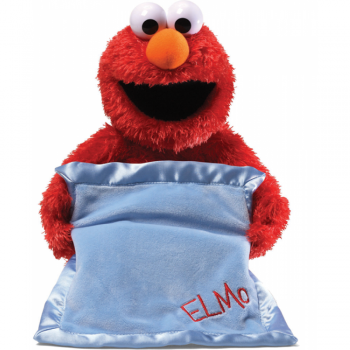 Elmo recites 13 different phases as his arms and blanket moves up and down. 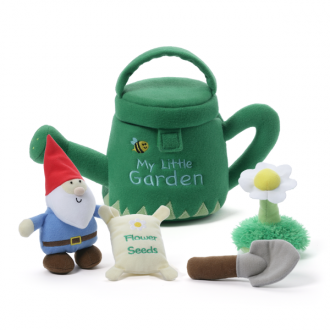 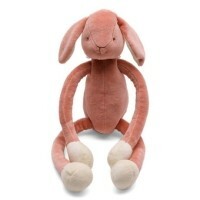 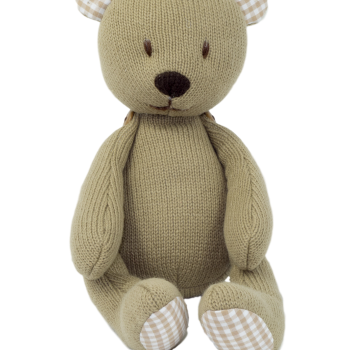 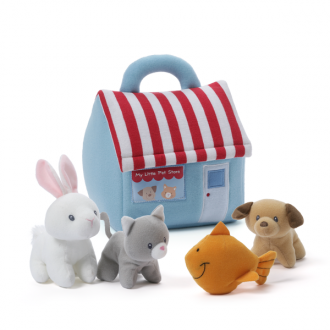 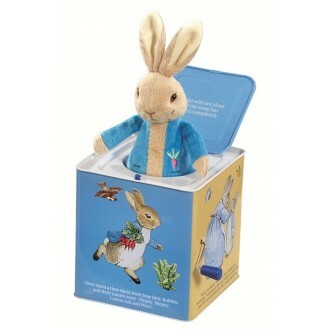 Peter Rabbit Nursery collection features Peter Rabbit wind up Jack-in-the-Box. 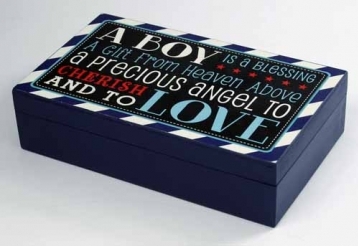 A classic gift! 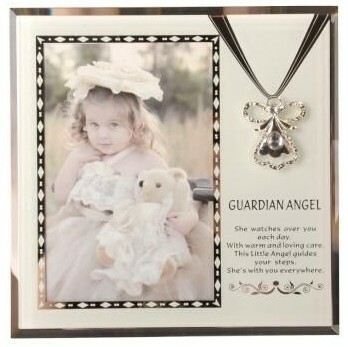 Elegant photo frame with a Guardian Angel pendant attached. 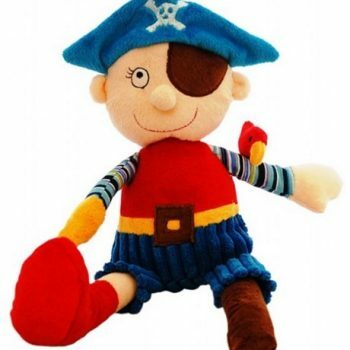 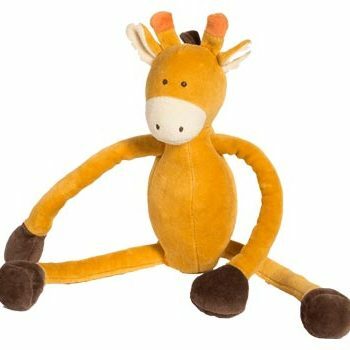 Plush toy for adventurous kids, this plush pirate is the perfect company for a treasure hunt. 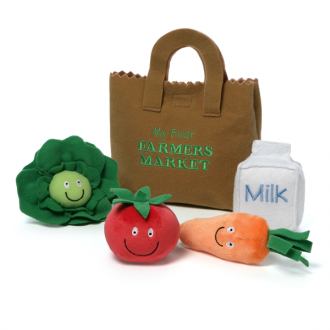 5 piece set Includes Tomato with squeaker, Carrot with crinkle, Lettuce with a rattle, Milk Carton with a sound chip. 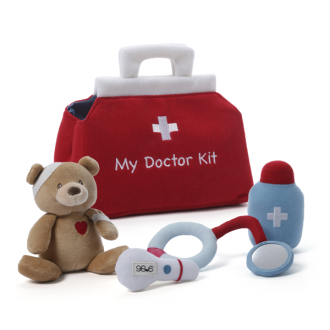 5 piece set Includes red medical bag, a stethoscope with a mirror, a thermometer crinkle toy, a medicine bottle rattle, Bonus coloring sheet. 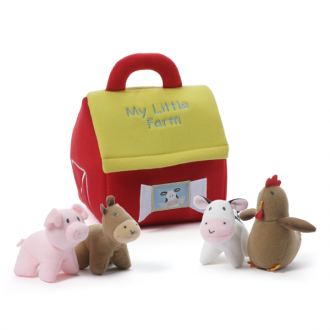 5 piece set Includes red barn, a cow crinkle toy, a pig squeak toy, a horse rattle, and a rooster sound toy.